1. (Above) Crown Jewels. The perfect accent for a formal garden party or a bohemian bash. Choose hearty blooms that match or accent your bouquet. 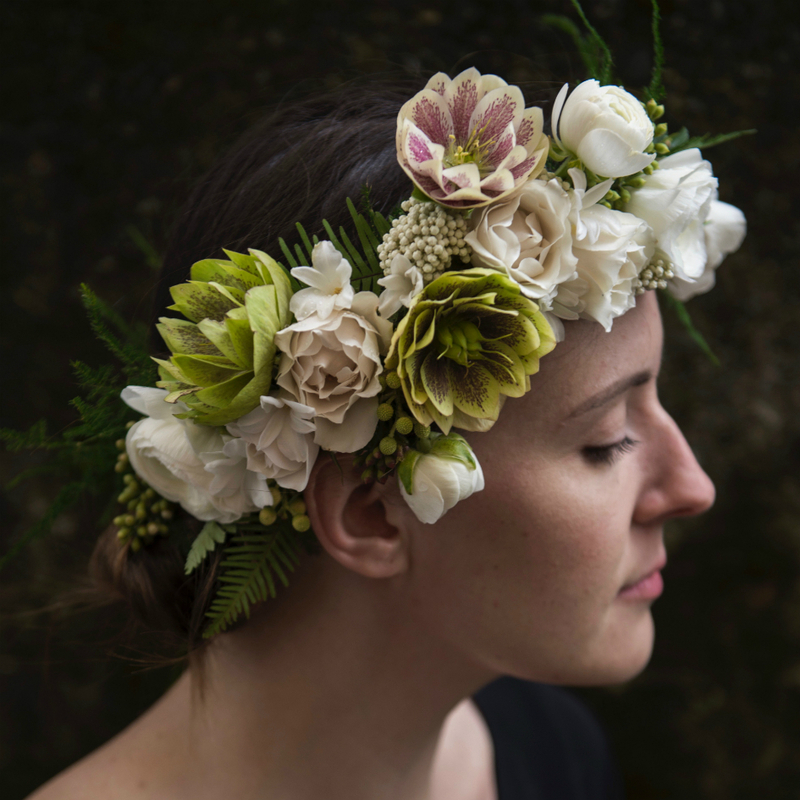 This crown is made of: Hellebore blooms, majolica spray roses, white rice flower, seeded eucalyptus and berzillia berries for texture, assorted ferns and white ranunculus. 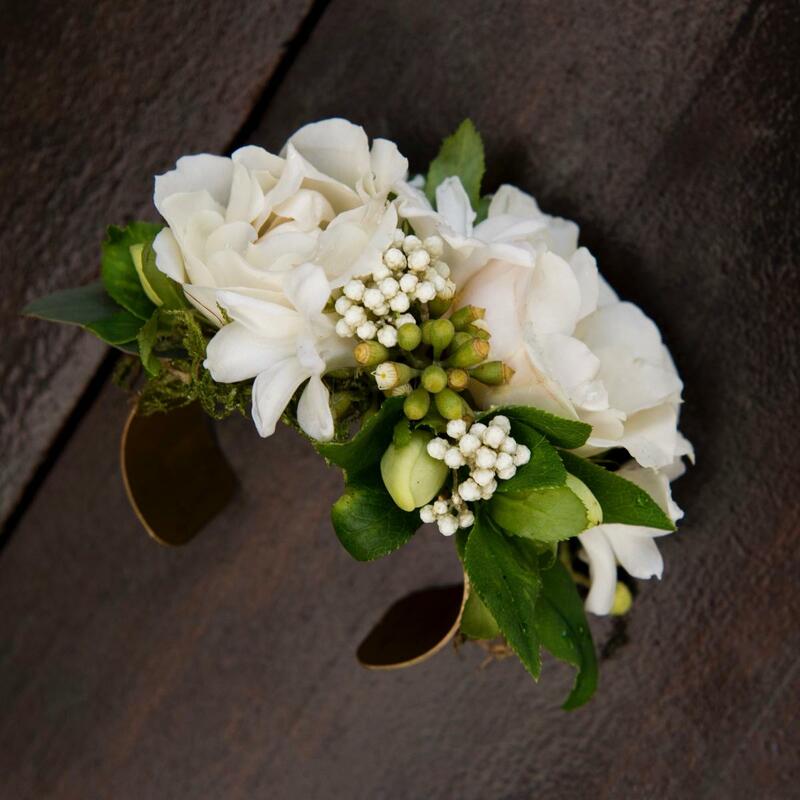 Flowers have been worn as meaningful, ephemeral adornments since before the earliest recorded days of civilization. The desire to wear artful renditions of nature has been unwavering and especially evident in our modern day marriage ceremonies. The known history of the flower crown begins in Ancient Greece and Rome. Brides would wear wreaths of verbena that they would harvest just before they were wed. Verbena was known to invoke the attention and favors of the Gods, particularly of Eos, the goddess of the dawn. More elaborate and decorative crowns of interwoven vines and flowers were worn by both male and female attendees during Roman Floralia festivals. This celebration later became associated with May Day festivals, and the wreaths symbolized spring, fertility and the circle of life. Early European ceremonies took the symbolism one step further when crowns representing chastity were worn by their brides. After the ceremony, the wreaths were tossed into a fire and burned to represent a loss of innocence. During the Black Plague, medieval Europeans began to wear fragrant gatherings of botanicals called tussies or nosegays. Believing the plague was contracted through putrid smells, the powerful fragrance emitted by certain blooms and herbs was thought to ward off this horrible disease. These little bouquets placed on a coat or in a woman’s bust are some of the earliest examples of modern day corsages and boutonnières. 2. Organic Accessory: Make a statement with an eye-catching necklace made of local, sustainable blooms. Pair with a simple, coordinating bouquet. 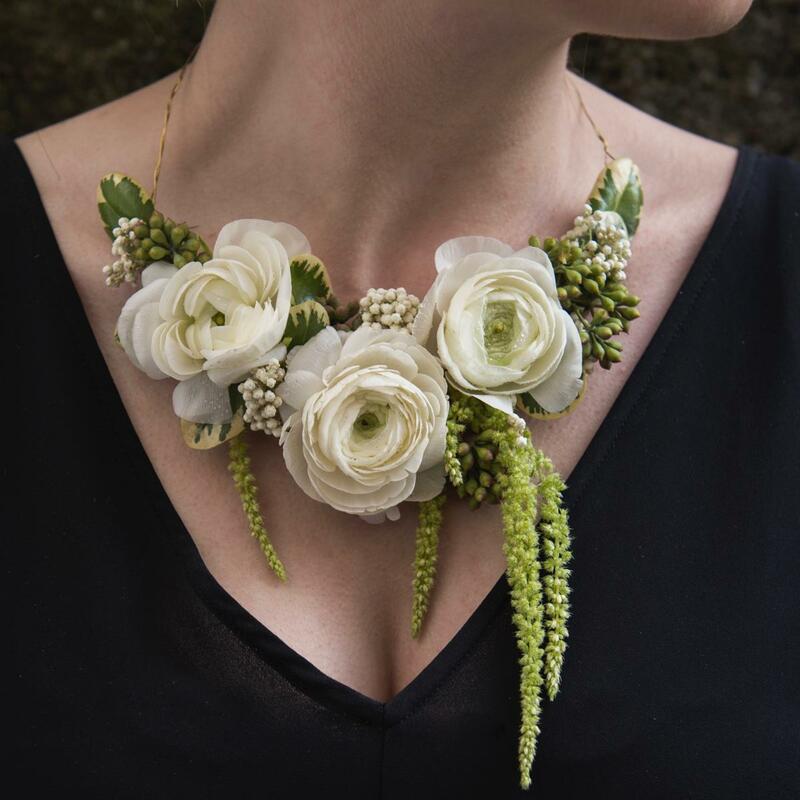 This necklace is made of: White ranunculus, rice flower and seeded eucalyptus berries, hanging green amaranthus and variegated pittosporum greens. The Victorian era brought about a floral craze called “floriography,” as new botanical discoveries were made around the world by explorers and botanists, and an entire language of flowers emerged. An appropriately worn bloom would communicate secret messages to friends and foes. They were pinned on hats, hair, lapels and bodices. Queen Victoria often wore a symbolic corsage that would change depending on the occasion. 3. Understated Elegance: Channel Queen Victoria and add softness to a sleek gown with a modern corsage. Choose blooms with symbolic meaning. This cuff is accented with: Majolica roses, stephanotis blooms, hellebore buds, seeded eucalyptus, rice flower and moss. Although long gone are the days we believed flowers would gain us godly favors or have the power to ward off disease and evil spirits, they still hold significance in our celebrations and ceremonies. 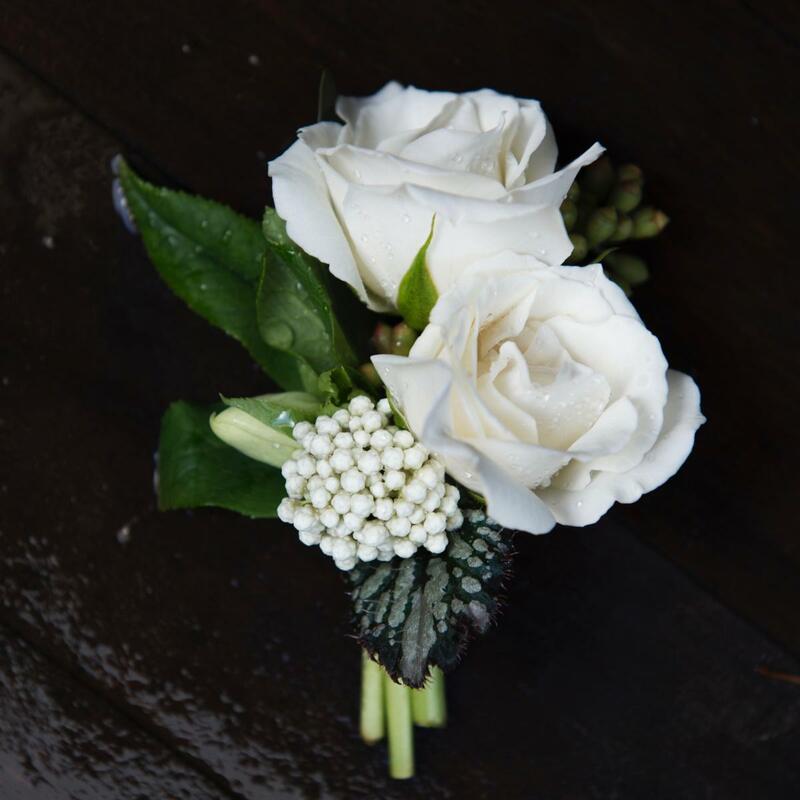 Corsages and boutonnières continue to be worn to distinguish significant members of a wedding party and as gestures of gratitude to special family members or friends. Flower crowns still represent a sense of innocence, often worn by flower girls, brides and bridesmaids (and Coachella attendees). 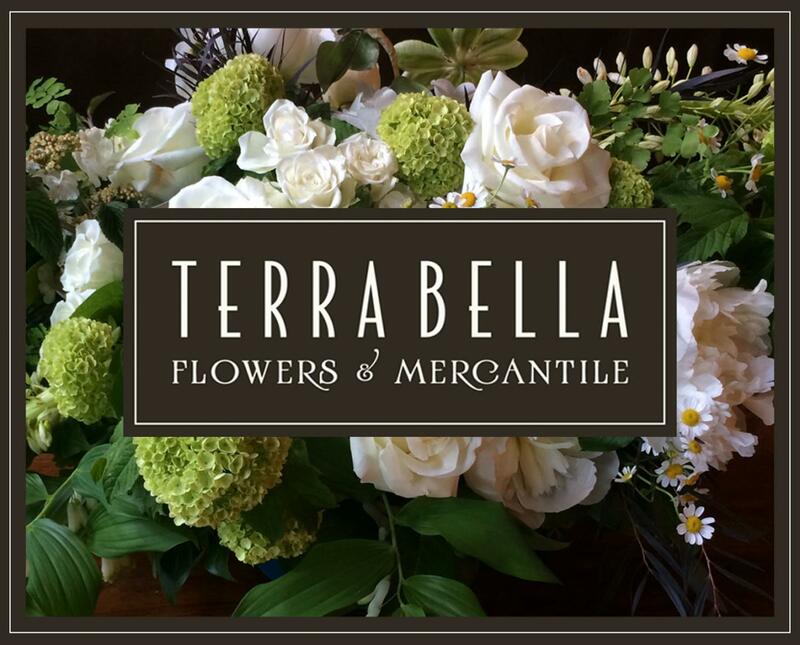 Terra Bella Flowers is a Seattle based florist with two retail locations: North Seattle | Greenwood or Downtown | Nordstrom Flagship.